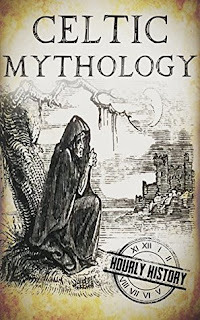 This is a book on Celtic Mythology as part of the Hourly History series going about the origins of the myths and then moving on to the various gods and subsequently as to how some of those traditions even have a bearing today, in Ireland. To be honest, I am not sure as to how qualified I am to review the book considering I knew very little about Celtic mythology prior to reading the book and in fact; even though I knew that Celts primarily included the Scots, Irish and the Welsh, I always thought that the world Celtic had more to do with the Scots than Irish and I realised I was wrong, when I read the book. Moving on, the book starts with the arrival of the Tuatha de Danann, the natives of Eire from the North and how they built their civilisation, their various practices, gods, superstitions, etc. I am unable to go into detail because I really couldn’t get a hang of the names mentioned except for the word Taoiseach meaning chief; only because, till date, the Prime Minister of Ireland is addressed by that title. However, I also found it interesting to know that the etymology for the river Danube in Central Europe in fact comes from the Celtic goddess Danu, referred to as the flowing one. I also liked it where the author, when not in a position to bring out the details of a battle / origin of a tribe, gives a brief introduction and then gives a link for further reading on the subject. The only aspect I possibly missed was that there was no mention of one of the more famous Celtic mythical creatures, being Leprechaun. While I am not sure while making this statement, but considering the importance of the Unicorn in Scottish culture, I assumed it to be a Celtic creation and I was disappointed to not find a mention of it in this book. Considering my experience and the knowledge I gained out of the book (barring the traditional Celtic names which I couldn’t pronounce), I would award the book a six on ten.